For a long time, Germany has been a bastion of quality and innovative black metal, whilst never in the spotlight in the way that the Norwegian, Swedish, French or even the newer Polish scene have been, innumerable bands have always been working diligently away offering superb works of black metal just behind the center stage; a continuation of the stereotype of precise and well executed German efficiency. Chaos Invocation first came to my attention with their debut "In Bloodline with the Snake", an album that took the history of black metal and from that created something modern and non-nostalgic, the music is in a similar vein to Watain, Blaze of Perdition, and countrymen Ascension. 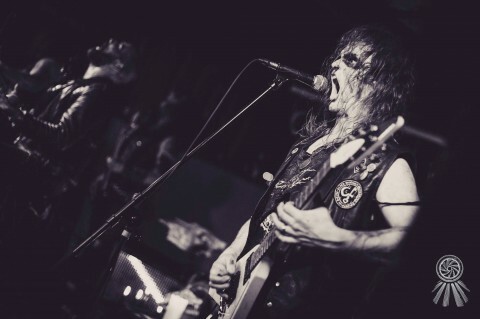 Their debut had more of the hallmarks of 'traditional black metal' with tremolo riffs and old school blasts and with "Black Mirror Hours" (their sophomore release) their sound progressed to a more modern sound — a greater focus on chord riffing, mid-tempo and melodic passages. The only downfall is that none of their albums have ever engaged me enough to want to return to them after the first few listens of each album. They're never bad albums they just lack that certain special something. "Reaping Season, Bloodshed Beyond" continues this trend, despite being fully competent and well executed there is little happening that ensures this will be an album in my heavy rotation… or even one I'll return to every few months. 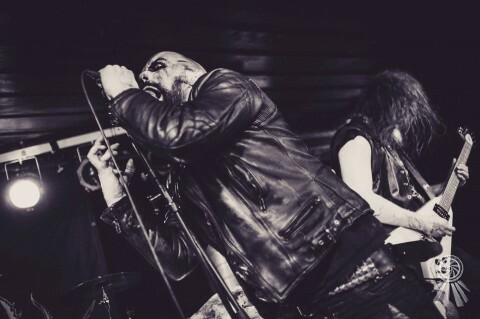 Musically it is a continuation of the formula presented in "Black Mirror Hours", similar to Ascension and Shrine of Insanabilis most recent albums and without a doubt, Watain. I do wonder at what point Watain became the new standard for black metal, it seems far too many bands these days echo the feel of "Sworn to the Dark" & "Lawless Darkness" era Watain, perhaps it's just the fact that Watain were the first to really understand how to condense the 20 odd years of black metal's sound into something for a new era, and other bands have also cracked that code just later than Erik and co. did, it does beg the question though that if that's the case how are there so few progenitors of newer sounding black metal, one would have expected more unique interpretations of classic black metal than just the likes of (to name a few) Deathspell Omega, Aosoth, Mgla, Spektr, and Aborym. I understand the weight of influence and inspiration from bands that one enjoys, yet one would hope that originality and innovation can overcome the shackles of an obsession of idols. One quote that always stuck with me from reading an interview (the only one) with Deathspell Omega who quoted Dantec [a French-born Canadian science fiction writer and musician Maurice Georges Dantec — Noizr] 'true art is cruel by definition', it resonated with me, I have always viewed Black Metal as being a genre that should challenge the listener and at all costs should strive to do something new (even if it's a perfection/re-imagining of old values), with this album Chaos Invocation do nothing to challenge me, I could put on so many albums from the past 5 years and it would be a struggle for someone to tell the differences in the bands/albums. "Reaping Season, Bloodshed Beyond" achieves on a base musical level, it has riffs, pounding drums, melodic passages, howled vocals and stellar production — on paper it works but it lacks in vision, I'm sure that it will tick boxes for many who want more modern black metal tone, that sounds more advanced and aggressive (mostly achieved through the darker and denser sonority) than the ever pervasive 'Norsecore' and more sanitized versions of black metal that are out there at the moment (*cough* Tribulation *cough*). It's a filler album until something else gets released and I guess I could think of way worse albums to use as a filler.